Gun owners love conceal-carry weapons. They’re compact, easy to carry, yet offer great protection. Self-defense and small, light guns, therefore, go hand in hand, no pun intended. For these reasons, most gun manufacturers focus on features such as lightweight, durability, and compactness. Smith & Wesson, a most pedigreed gun manufacturer if ever there was one, is no different. 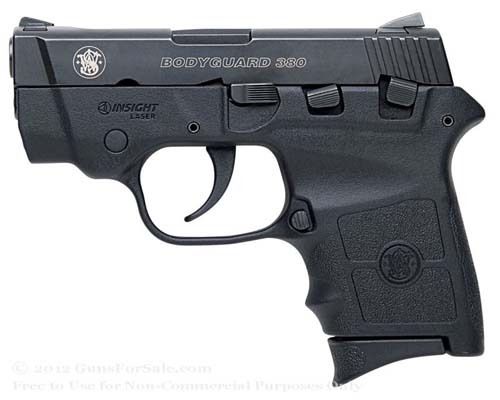 As such, the Smith & Wesson Bodyguard 380, includes said features, and many more. What other features might it contain? Well, you’ll learn more in this review. But as a teaser of the things to come, we’ll just list off a few things. First, the second strike option. Second, the rear sights you can adjust. Third, a functioning safety lever. Fourth, an indicator for loaded chambers. And finally, both a side lock and an inbuilt laser. 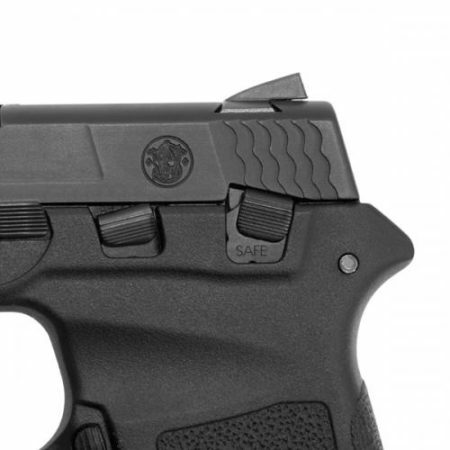 Smith & Wesson Bodyguard 380 is, like most conceal-carry handguns, small and light. This model is 5.25 inches long, with its barrel taking up 2.75 inches and containing a plain muzzle. So when you hear “small,” you know you’re getting small. In fact, you can even fit it inside of your pockets. To add to this, the whole pistol is less than an inch thick. You’ve read that correctly – less than an inch! Weight-wise, it’s just up your alley if you’re a person who’s looking for compact arms. It weighs 0.75 pounds or 12 ounces without the rounds. However, rounds don’t add much weight, so you won’t have to worry about it – Smith & Wesson Bodyguard 380 remains light in weight even when it’s ready for action. In terms of material, Smith & Wesson Bodyguard 380 is a sturdy piece of work. The side and the barrel are both crafted from the same material, that being stainless steel. On the other hand, the stock is made of a polymer material. Finally, the trigger is plastic, or more specifically flat, smooth plastic. In terms of color, you can get it in different shades, but the basic Smith & Wesson Bodyguard 380 has a matte black overall finish. This choice of color makes it look stylish on top of being sturdy and small. Now let’s get to the good stuff. Smith & Wesson Bodyguard 380 is hammer-fired, double-action, and semi-automatic. The aforementioned plastic trigger can pull roughly 9.5 pounds. It’s smooth and easy to use. In terms of hammers, the bobbed one of Smith & Wesson Bodyguard 380 protrudes just a bit from the back end of the gun’s side. It does this the moment before the gun’s trigger breaks. You might be wondering what kind of controls a gun this small can have. And you’ll be happy to know that it has quite a few that other pistols have, if not more. In terms of sights, for example, it has them both in front and in the rear. Both slides are fixed, made of steel, black, and they do not snag. Rear sights of Smith & Wesson Bodyguard 380 are dovetailed right into the slide. And speaking of the rear of the gun, this gun has a cutout there which indicates when you’ve loaded the chamber. 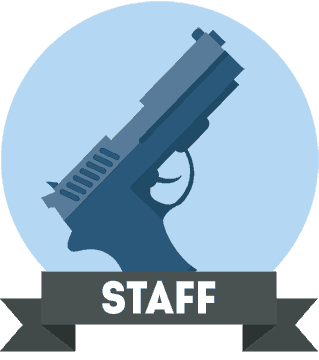 An interesting talking point about Smith & Wesson Bodyguard 380 is its manual safety feature. As is the case with all 1911 guns, it sits on the left side, right there at the top of your gun’s frame. The minute you activate this safety, the trigger remains stuck. You will not manage to shoot a single bullet until you undo the safety. 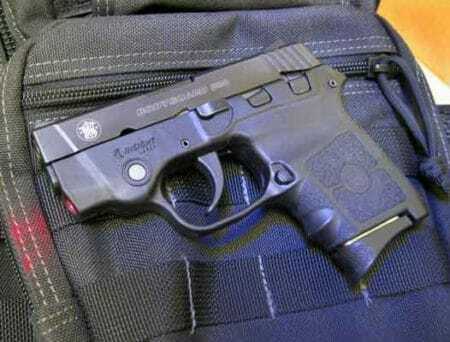 But, the very shape of the manual safety of Smith & Wesson Bodyguard 380 looks interesting. You will notice that it doesn’t protrude because of how serrated and almost flat it is. Moving it either up or down takes a bit of effort. Once you hear a ‘click,’ you’ll know you moved it to where it must be. You’ll find this particular feature useful. If, for instance, you want to keep your gun in a drawer or your pocket, the manual safety will keep it from firing into you by accident. In other words, there’s no way the safety comes off without a conscious effort. With your purchase of one Smith & Wesson Bodyguard 380 model, you will get two magazines and four base pads. Two pads are flat, whereas the remaining two are extended. The magazine can hold 6 rounds of 380 Auto (ACP) cartridges. We touched on this a little when mentioning color. 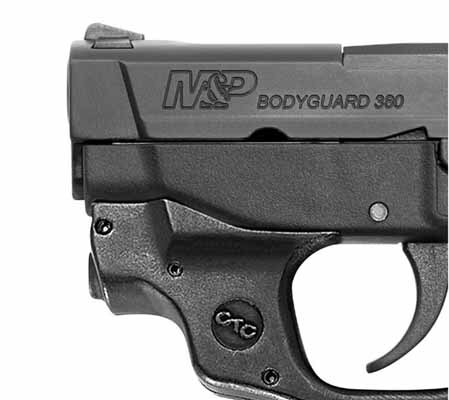 You can get your hands on several different variants of the Bodyguard 380 itself. These include two major areas of difference. The first area deals with the thumb safety. Smith & Wesson opted to manufacture Bodyguard 380 models both with and without this safety feature. However, this thumb safety is difficult to disengage. If you prefer to unlock and use your Bodyguard 380 more easily, we suggest that you buy the one without the thumb safety. The second major area is the laser. Most self-defense conceal-carry firearms have this feature. It’s not only useful with accuracy because it also helps tremendously in dangerous situations. 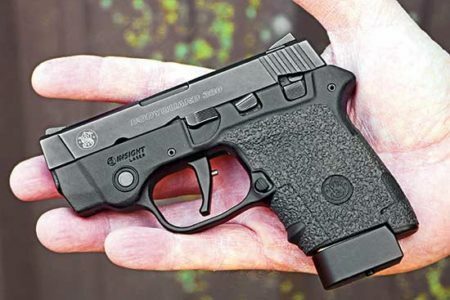 Yes, you will indeed spend a little more money overall if you choose to buy a Smith & Wesson Bodyguard 380 model with a laser, but it’s well worth it to do so. One more thing you ought to pay attention to is the laser color. Bodyguard 380 comes with either red or green lasers, and the choice really comes down to what you prefer. As you can see, the Bodyguard 380 has a lot to offer. So why would you want to buy this gun? First off, there’s the accuracy. Considering that Smith & Wesson Bodyguard 380 uses small rounds, you’re definitely getting less recoil upon shooting. Your bullets won’t wander around, and you’ll hit your mark roughly 90% of the time. Next, there’s the element of personal and portable protection. In other words, you can carry it with you anywhere, use it easily, and protect yourself from any attacker. It’s very smooth and sleek, so you won’t feel awkward holding or firing it; not to mention that it’s small enough to literally put away in your pocket when not in use. Furthermore, the gun is very durable. It’s made of polymer, steel, and strong plastic. Therefore, it’ll remain strong and active even in the worst weather – be it rain, sleet, snow, thunderstorm, or excessive heat of the sun. And finally, it’s safe and secure to tuck away. With its safety features, you can be sure that it won’t go off in your pocket or holster. – Safety and security are guaranteed with this model. No gun is perfect, and Smith & Wesson Bodyguard 380 is a prime example of this. Safety helps, but the fact that it takes a while to “unsafe” the gun might put off some gun owners from buying this arm. The aforementioned 9.5-pound trigger pull is good enough, but a little too big for a gun this size. Not to mention that if you’re a user with larger hands, getting used to Smith & Wesson Bodyguard 380 can be a chore. Finally, there’s the price. 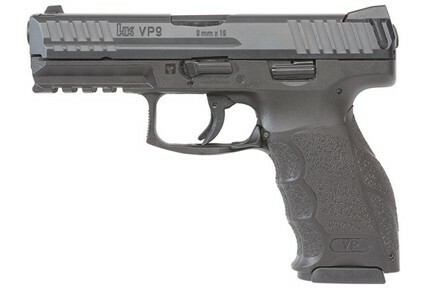 At $379, it’s one of the pricier conceal-carry firearms on the market. 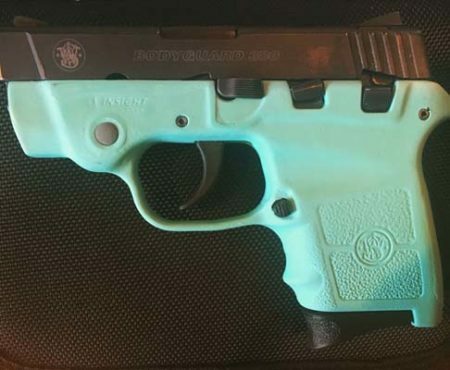 Sure, it’s Smith & Wesson, but if you’re looking for something and you’re on a budget, maybe it’s best to skip this model. Sometimes, it’s all in the name, and Smith & Wesson Bodyguard 380 is a proud member of this long and honorable family of firearms. 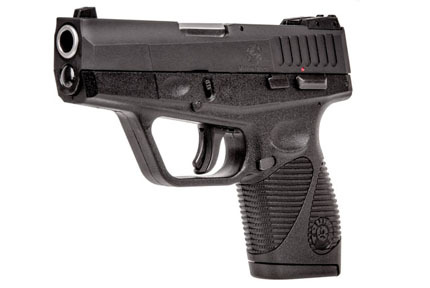 Small in stature, yet powerful in performance, this gun might just be what you’re looking for. Smith and Wesson (S&W) is one of the most reputable gun manufacturers with a long heritage and the Bodyguard 380 handgun is the result of decades of refining. We were very impressed.